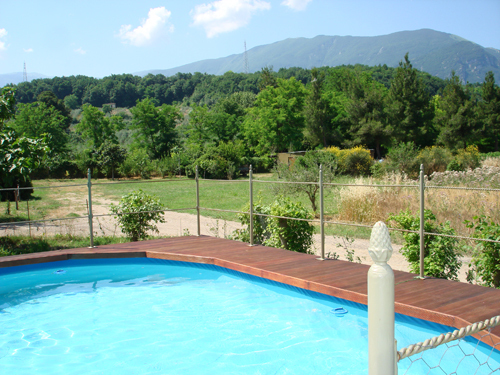 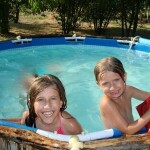 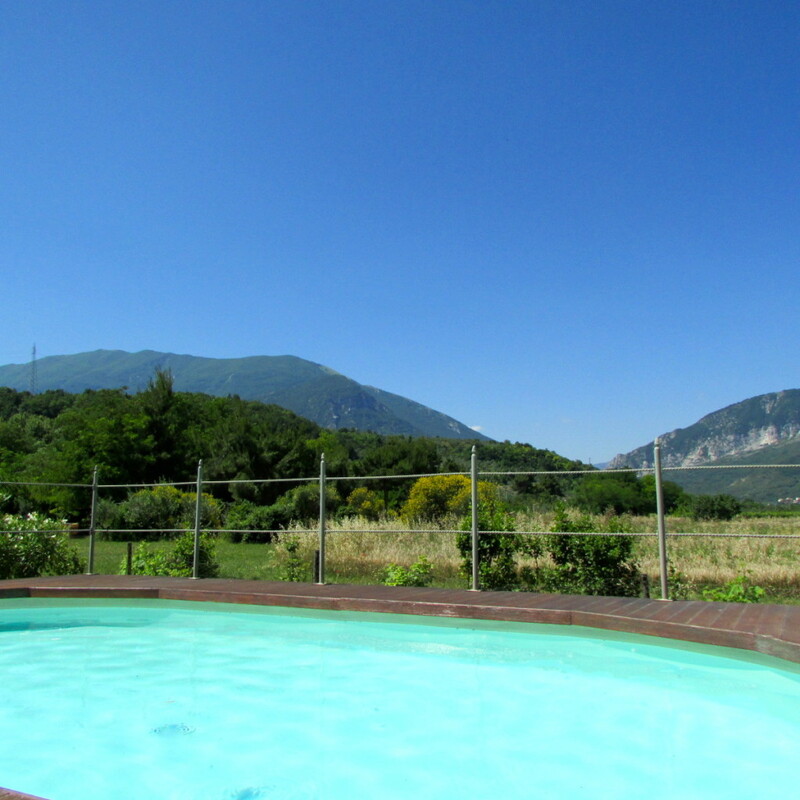 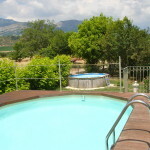 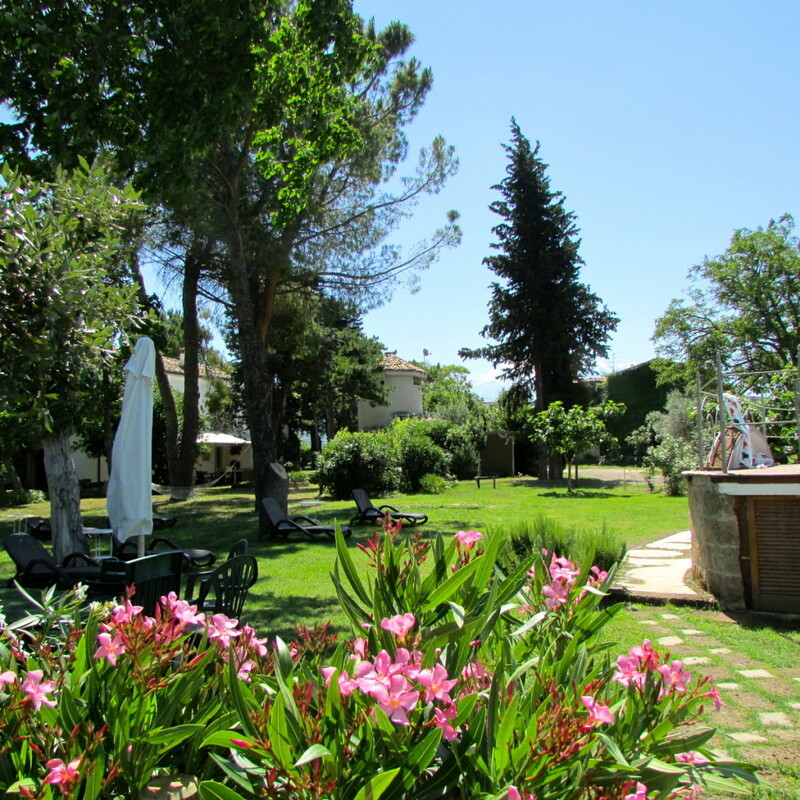 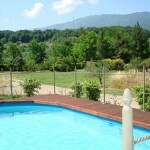 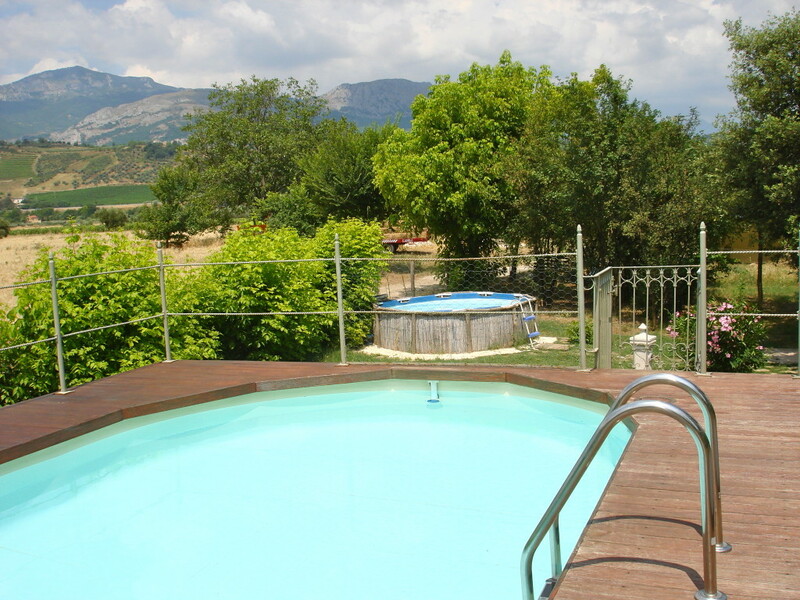 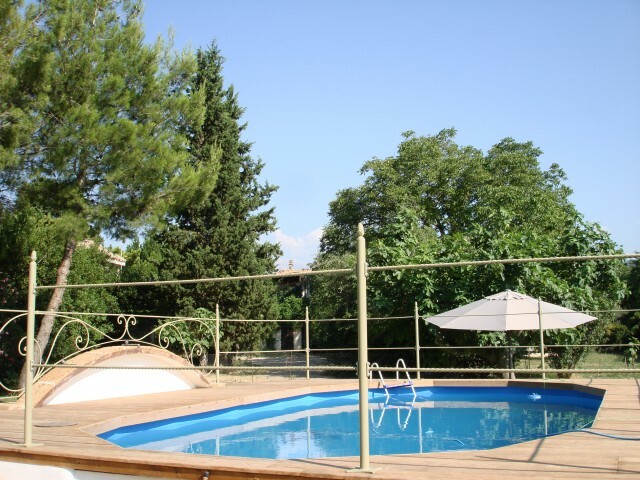 The pool has been recently refurbished and is a small shelter on hot summer days where recuperate at the sight of the countryside and fields, overlooking the beautiful mountains of the two surrounding National Parks. 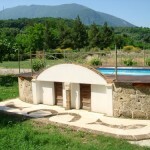 The original project has gradually changing from time to time and, like for all the farmstay structures, even for this particular corner of the garden it was decided to use original material recovery, such as ancient stones jealously guarded for years by de Pompeis family or timber and tuffs of old buildings. 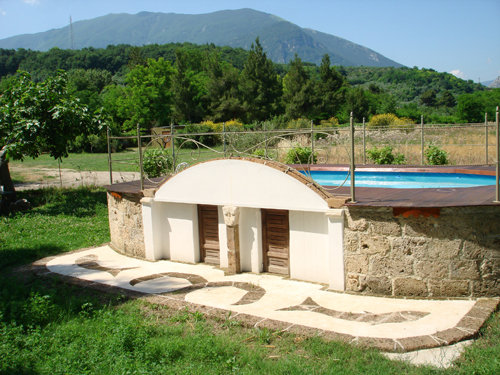 The result is a big “fountain-trough” typical of our areas, which integrates well with the landscape and the structure of the house. 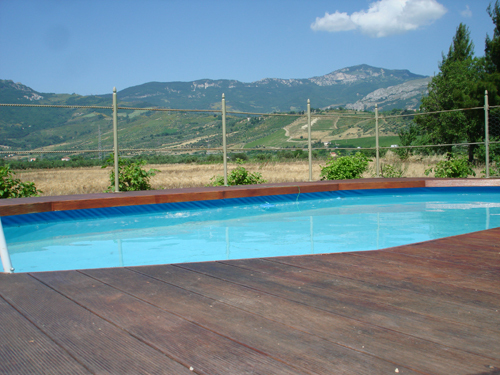 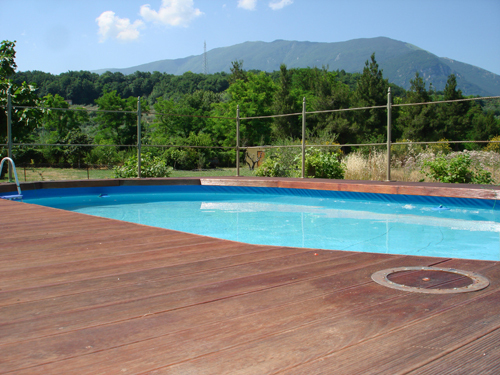 A modern wooden table, on the poolside, where you can enjoy a wide and bright on the fields and mountains of the Gran Sasso and Morrone. Across the pool, the cool of the pine forest and the chant of the cicadas invite our guests to relaxing moments. 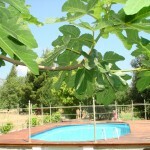 The dimensions are 7.5 m. x 4 m. x h. 1.10. 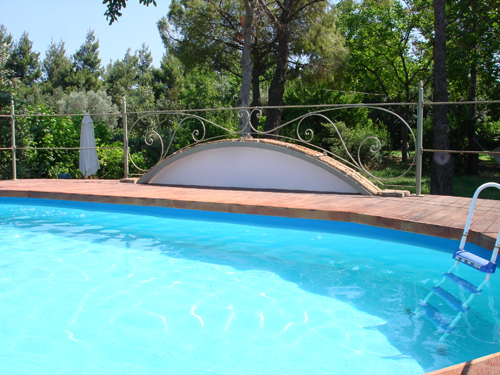 Also, for safety reasons, as well as aesthetic, the pool is elevated and accessible only through a little gate that closes automatically, to ensure safety for parents of small children and a relaxing holiday without too many “concerns”. 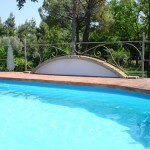 Of course, to each guest is given a personal copy of the pool access keys. 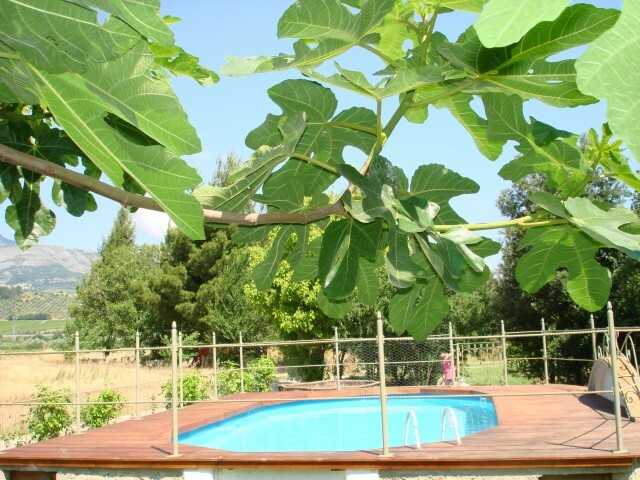 For our youngest guests we have realized a small private pool (diameter 3 m. x h 0.70) elevated the same in order to prevent direct access to children, where they can play and have fun safely. 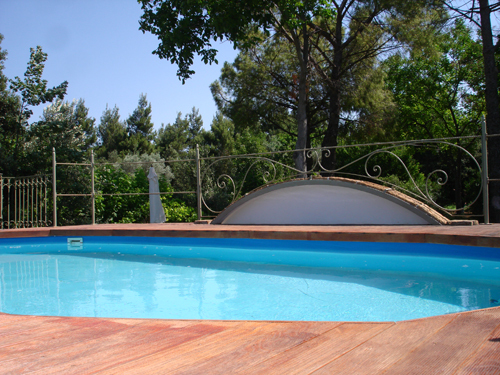 This one is only 10 meters from the bigger pool and totally under its previous view, allowing the parents to take their moments of relaxation “with a look“ to their children. 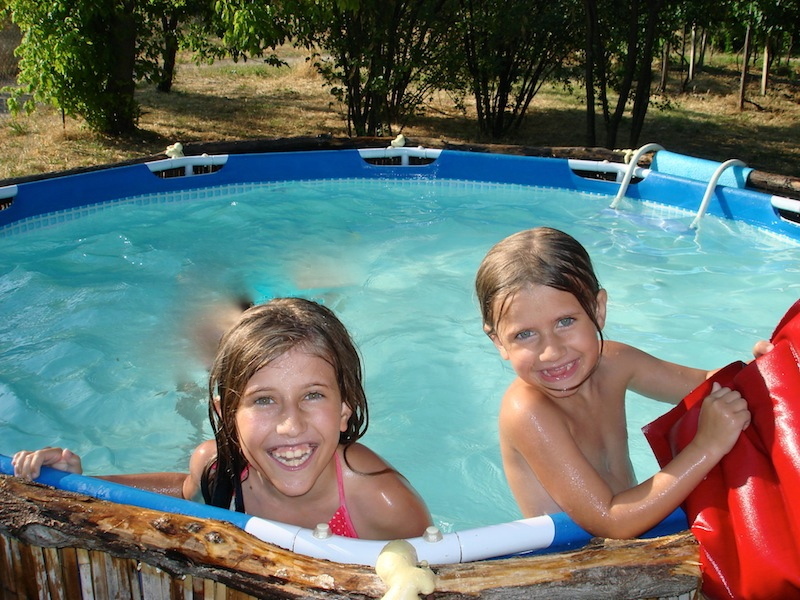 For the youngest there are some toys (house, swing, etc..). 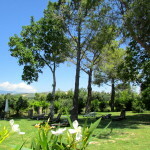 Relaxation area is well furnished with several tables and chairs for outside, summer-umbrellas, sunbeds, hammocks and, for those who want, areas good shaded by large and old trees. 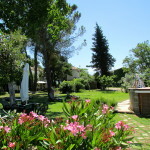 The shower, which “wraps“ along a tree trunk and is hidden by foliage and flowers, is particular and not “impactor“ to the most sensitive eyes adverse to the “modernity“, but … you better come and see !